Our range of products include hospital sterilizer, hospital eto sterilizer and hospital autoclaves. We have emerged as the reputed manufacturer of top grade Hospital Sterilizer. The sterilizers made by us, are able to execute all the required functions with accuracy. Hence, this product has a huge demand in the market. We are also proud to announce that we have made customers satisfied with our produces. We are ready to accept any type of customized order from the client end. We are using our best man power for handling the production process. We ensure that units delivered to customers are free from all manufacturing defects. High strength, with excellent performance made it No 1 choice of the industry. Control and Printing: Fully Automatic PLC control system provides on-line documentation through in-built printer (Optional). SCADA: Provides the option to link PC to the autoclave for remote control and monitoring. Records in three formats (Detailed Report, /Summary, Graph) can be stored in the PC and reprinted as and when required. Chamber equip with safety valve, when inner temperature is over heated power will shut down and alarm. Trueklav has alarm when over pressure. Trueklav indicate you when water level is low. 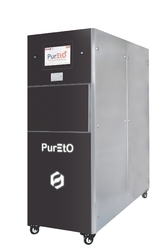 All Trueklav autoclaves can be automated by connecting the feed water (demineralized water) supply with. 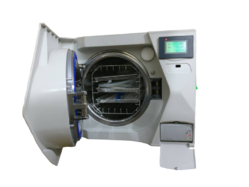 The used water is also disposed of automatically if the autoclave is connected to a drain. Trueklav can measure the water quality (optional) in the autoclave to ensure that only DM water of the best quality for sterilization has to fed in system, thus protecting the autoclave chamber, steam generator and the valuable instruments. Delivery Time: 4-5 Days after receiving of PO.